"The breakdown of a relationship will often leave an individual in an emotional and vulnerable state. To add to this trauma, the need to present your own case in a way that is intelligible to a court is too much to ask of almost anyone." Image: The High Court in London, which hears some family cases. Pixabay. Some rights reserved/CC0. In the UK we are lucky enough to have a fair and impartial judicial system. But judges can only do their jobs properly if they have the right evidence and if the cases are properly presented. They also need enough time to listen to people, and to make and record their decisions. Most barristers in the family courts will tell you that this is happening less and less. On April 1 2013, new rules in England and Wales abolished legal aid for private law family cases (cases which do not involve the local authority), save where an individual is able to produce evidence of domestic violence, or under the exceptional funding scheme. Domestic violence needs to be proved by hard evidence (such as a criminal conviction, civil injunction, or a letter from social services or a refuge) and exceptional funding is very, very difficult to obtain. The consequence of this is that the number of unrepresented parties (or litigants-in-person) going through the family courts has soared. Statistics reveal that by 2017 both parties were represented in only 20 per cent of these cases, and in 35 per cent nobody was. This lack of access to legal advice and representation has enormous consequences for ordinary people. If you are a mother of young children who is not in paid employment and your spouse deserts you, you will not receive any public funding to apply for maintenance or capital. Before 2013 you would have received public funding which would have been reimbursed from any assets you were allocated later on from the divorce. Now you are on your own unless you have family members who can help you pay for lawyers, or you take out a loan. The same applies if you have a dispute about your children. Imagine if you have separated from your partner and you are concerned that he or she is drinking too much and might put the children at risk? Before you can even make an application, you will have to persuade the court that you should not have to attend a Mediation Information and Assessment meeting (MIAM), on the grounds that there is a risk to the children’s safety, and then unless you can afford significant legal fees you will have to represent yourself. In all likelihood, so will your partner. When you get to court you will have some assistance from the Cafcass Officer (Children and Family Court Advisory and Support Service) to see whether there is any scope for agreement between you, or what enquiries should be made next. They will inevitably be very busy with other cases, and you will not otherwise have any assistance, either to negotiate with your partner or in court. There are hundreds of examples of cases where parents have had to struggle alone in cases where the outcome has enormous repercussions for them and their children. Here are a few typical cases that the Family Law Bar Association has heard from barristers. A mother of two young children wished to go and live in another part of the country with her partner (who was not the father of the children). The oldest child of the family had died in tragic circumstances and the mother struggled to remain living in her previous home. 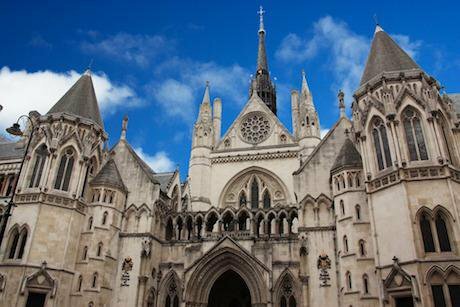 The case was a finely balanced one, but the mother was unrepresented and found it impossible to put her case clearly, and also to challenge the evidence of the Cafcass officer. She became so distressed that she gave up. Had she been represented she would have had a better chance of winning the case, or at least knowing that her case had been properly put and considered. A father faced allegations from the mother of his child that he was abusive and violent, and it was argued that he should not be permitted to have contact with his young child. The mother was represented but he was not. He did not know how to challenge her allegations, or how to question her because she said that he was a bully and she was frightened of him. A mother took a young baby out of the country shortly after the baby’s birth, to a country which was not a party to the 1980 Hague Convention on Child Abduction. The father asked the court to make an order that the mother return the child, but the mother argued that the child was not habitually resident in this country and the court did not have jurisdiction. The legal test for habitual residence is a matter which has been considered by the Supreme Court on several occasions, yet both parents were in person and had no idea how to argue the case, and no idea what evidence was relevant to the judge’s decision. A mother suffered a breakdown after the end of the relationship, and as a consequence the father said that the children should be removed from her urgently. The mother was unrepresented and extremely vulnerable. Cases like these are the tip of the iceberg. There are many more cases where people need representation but are unable to afford it, for example if accused of child abduction or in some cases of child abuse. Lawyers cannot work miracles, but every family barrister will tell you of a case where they believe the outcome of the case would have been different if a party had been represented. At the very least, that person would have had the benefit of advice and support and the security of knowing that the right issues were argued before the court. And if the outcome of the case was actually inevitable, once the facts and law were known, it may have been possible to avoid a contested hearing altogether. The breakdown of a relationship will often leave an individual in an emotional and vulnerable state. Self-confidence can be low and therefore it is not the easiest of times to make decisions. To add to this trauma, the need to present your own case in a way that is intelligible to a court is too much to ask of almost anyone. And all of this also places enormous strain upon the courts. Instead of having the assistance of skilled lawyers, judges are left to try and coax information from frightened, distressed and sometimes angry people in order to marshal the facts relevant to the decision that has to be made. That this works at all is a testament to their patience and endurance, but it should not be so. For most of us, nothing matters as much to us as our families. We need to ensure that we have a system that works for all of us to come to our aid and that of our children when things go wrong. That is why family justice is so important and deserves to be funded appropriately.